In the foreground the winch used to haul the boat back up the slipway and hold it in position, see SM7225 : St Davids Lifeboat. 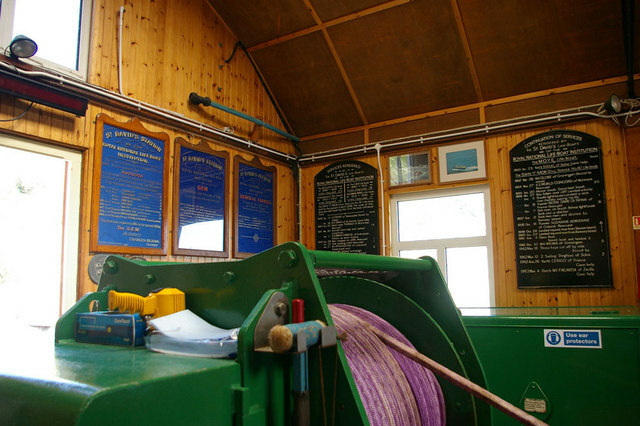 On the wall are five out of ten boards chronicling the activities of all the boats over nearly 150 years of service. Up to the date of this picture 318 lives have been saved.